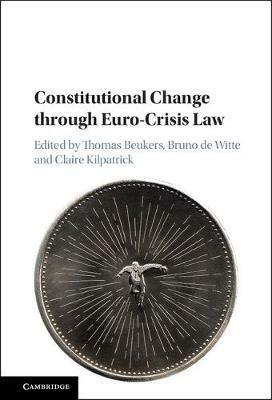 Constitutional Change through Euro-Crisis Law contains a comparative constitutional analysis of the impact of a very broad range of euro-crisis law instruments on the EU and national constitutions. It covers contrasting assessments of the impact of euro-crisis law on national parliaments, various types of criticism on the EU economic governance framework, different views on what is needed to improve the multilevel system of economic governance, and valuable insights into the nature of emergency discourse in the legislative arena and of the spillover from the political to the judicial sphere. In addition, it deals with how bailout countries, even if part of the same group of euro area Member States subject to a programme, have reacted differently to the crisis.